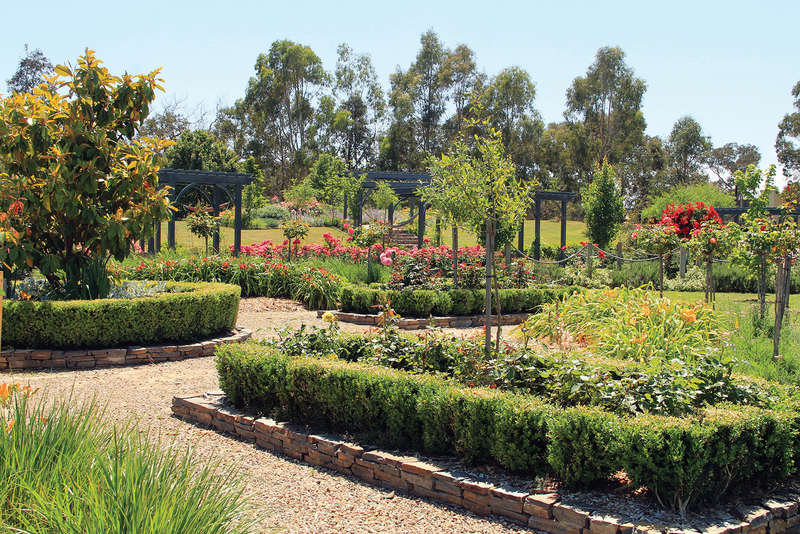 A bare paddock in Kangaroo Ground has been transformed into a garden rich with roses and maple trees. Gardening has always been something of a family ritual for Kirsty Metcalf. 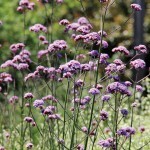 She fondly recalls Sundays spent in the garden with her father when she was growing up. The tradition instilled an enduring love of gardening in the children’s writer; one she was keen to share with her own young children, Rhianna and Kendrah. 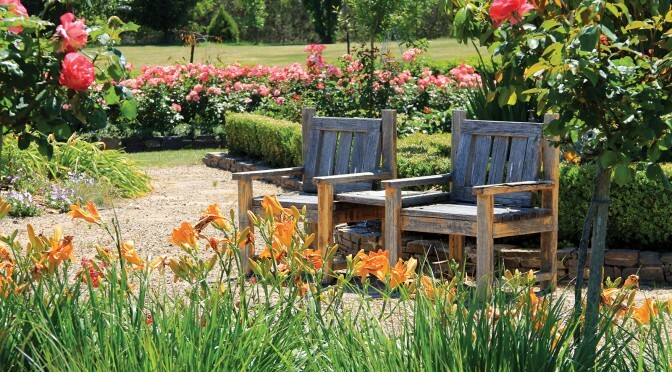 Nine years ago, when she and her partner Tim found a bare block in Kangaroo Ground, where Tim grew up, Kirsty saw the chance to create a big, rambling garden from scratch. “It was just a bare paddock when we bought it,” Kirsty said. “We fell in love with it because of its expansive outlook across the valley. It was also cleared, which made it easy to begin establishing a big garden. There was one gum tree on the property and Kirsty and Tim were married beneath it shortly after they bought the block. It took two years to finish building their house and, when they moved in, the bare paddock had turned into a dust bowl. Undeterred, Kirsty and Tim used the topsoil from the house excavation to create garden beds. 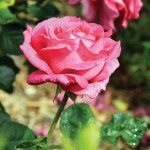 Then, they set to work planting roses. Hundreds of them. After seeing her father’s garden struggle with large gum trees draining the moisture from the soil during drought years, Kirsty opted instead for deciduous trees and planted some of the hardier specimens, such as crab apples, manchurian and ornamental pears, crepe myrtles and maples. It’s taken just seven years for the couple to turn the paddock into a vibrant and graceful wonderland, which they have named Maple Hill, for the 40-plus October Glory maple trees dotted throughout the property. The garden is immaculately landscaped but, although the couple had some professional design advice and help with shaping garden beds, it is entirely their own creation. There’s no shortage of evidence that Kirsty inherited the lion’s share of that green thumb. 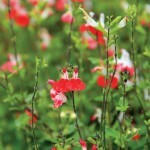 The driveway is lined with crab apples and the front garden is a formal show of English box hedging with masses of colourful gaura, cat’s mint and irises. 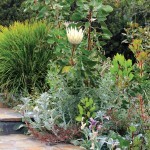 Garden beds on the south side of the block are less formal with proteas, grasses, Silver Princess eucalypts and kangaroo paw. 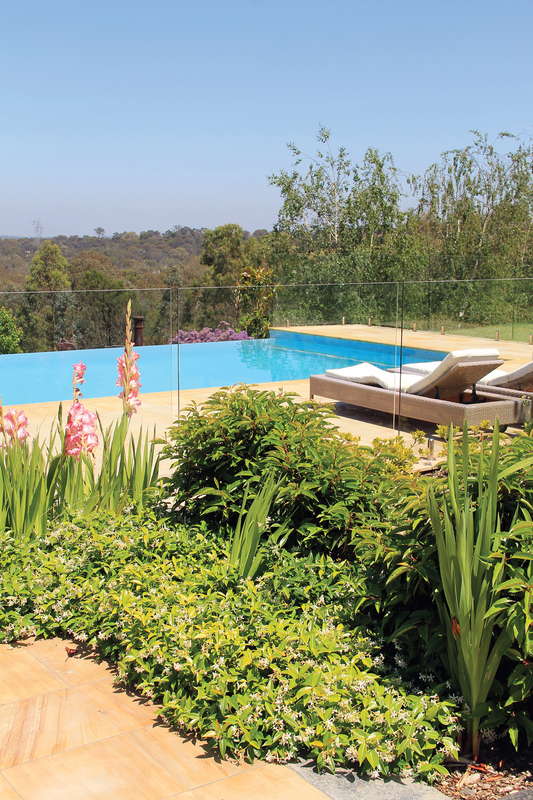 The blend of native and exotic species provides the perfect link between the bush on one side and the formal garden on the other, while stone pathways invite exploration. But the star attraction of the property is the parterre garden, designed in the directions of a compass. Filled with a medley of standard roses, day lillies, achillea, salvia and a central magnolia, it is bordered by a hedge of English box. Curving around the outside of the parterre are swathes of richly scented Delbard roses, interspersed with weeping mulberries and underplanted with convolvulus. 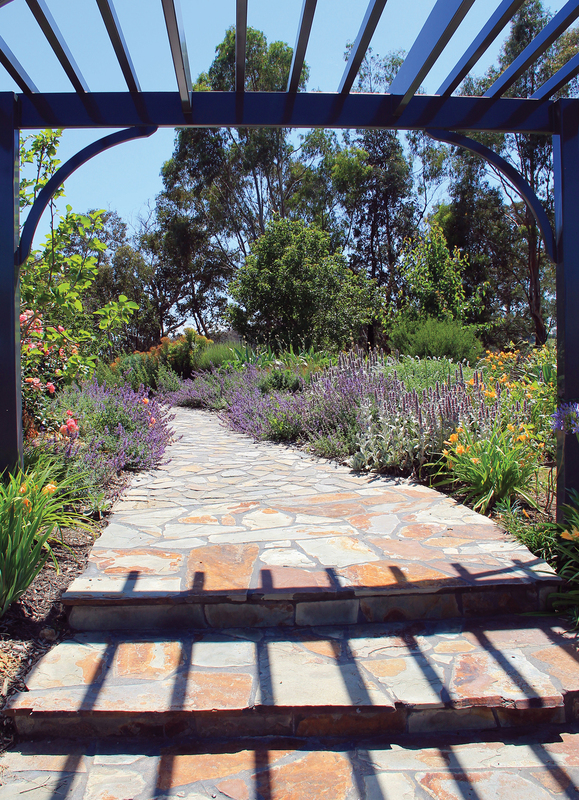 Recycled-sleeper bridges across a dry creek bed lead to an expanse of lawn and a cottage-style garden bursting with lamb’s ears, irises and more roses. Recent additions include arbours and plantings of wisteria. But the Metcalfs are big believers in heavy mulching and have spent many hours shovelling bush mulch on to garden beds. “It’s hard work but I prefer that to going to the gym,” Kirsty said. “And the girls help. We have our own family days together, mowing lawns, mulching and doing the chores, so it’s also family time.